Heritage speakers are native speakers of a minority language they learn at home, but due to socio-political pressure from the majority language spoken in their community, their heritage language does not fully develop. 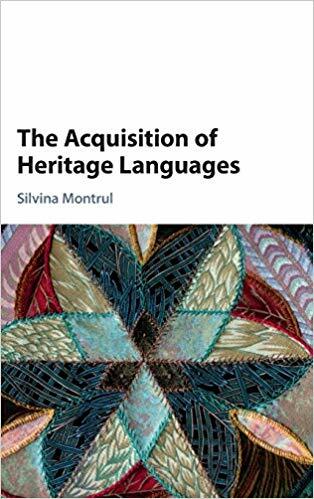 In the last decade, the acquisition of heritage languages has become a central focus of study within linguistics and applied linguistics. This work centres on the grammatical development of the heritage language and the language learning trajectory of heritage speakers, synthesizing recent experimental research. The Acquisition of Heritage Languages offers a global perspective, with a wealth of examples from heritage languages around the world. Written in an accessible style, this authoritative and up-to-date text is essential reading for professionals, students, and researchers of all levels working in the fields of sociolinguistics, psycholinguistics, education, language policies and language teaching.